Research published by a Washington, USA-based think-tank on the potential environmental and health damage a new generation of supersonic aircraft could create has been slammed by aerospace companies. 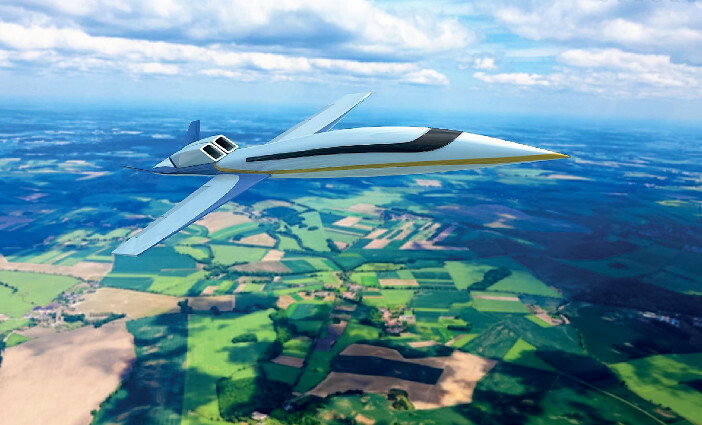 The International Council on Clean Transportation ‘s(ICCT) study analyzes the landing and takeoff noise, sonic boom, and carbon dioxide (CO2) implications of introducing 2,000 new commercial supersonic transport (SST) aircraft serving 500 cities in 2035. This is a scenario previously described by aerospace company Boom Supersonic to describe the potential market for supersonic aircraft. According to the ICCT’s study, under such a scenario, a 2,000 strong supersonic fleet would translate to approximately 5,000 flights per day at 160 airports located predominately in Europe, North America, the Middle East, Asia, and Oceana. This would create between 150 and 200 sonic booms per day, or up to one boom every five minutes over a 16-hour flight day. The two busiest airports, Dubai International and London Heathrow, could see in excess of 300 supersonic flight operations per day. Other airports would be expected to experience 100 or more supersonic landing and take offs per day include Los Angeles, Singapore, San Francisco, New York-JFK, Frankfurt, and Bangkok. The study also estimates that the fleet of 2,000 aircraft could consume 5 to 7 times as much fuel per passenger as subsonic aircraft on the same routes and would emit 96 million metric tons (MMT) of CO2 per year. Vik Kachoria, CEO of Spike Aerospace said, “I have reached out to ICCT in the past to correct the invalid assumptions they make in this and previous reports. Rather than talk with Spike Aerospace, they are more interested in fear mongering, and rejecting any advancement in technology. “I imagine they would not raise much funding if they reported that there was nothing to fear. It serves their purposes, creating click-bait and false news, to hinder technology and cry the sky is falling. International regulators are meeting in Montreal for two weeks from February 4th to discuss whether to apply existing subsonic standards to SSTs or to develop new, more lenient SST standards that would allow those aircraft to produce more noise, air, and climate pollution than new subsonic designs.